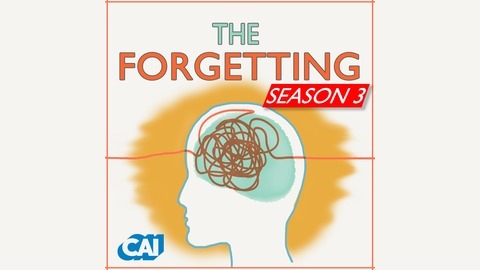 The Forgetting is a podcast that talks about and demystifies Alzheimer's disease. The twice-monthly show is co-hosted by two well-respected Alzheimer’s experts: David Shenk author of, “The Forgetting: Alzheimer’s, Portrait of an Epidemic;” and Greg O’Brien, author of, “On Pluto: Inside the Mind of Alzheimer’s.” O’Brien was diagnosed with early-onset Alzheimer’s disease in 2009, at age 59. The podcast highlights the friendship Shenk and O’Brien share, while also documenting O’Brien’s experience with the disease as its symptoms become more pronounced. The earliest conversations date from 2015. Subsequent episodes of the podcast follow O'Brien's journey with the disease to the present day. The podcast is produced at WCAI in Woods Hole. Executive Producer: Sean Corcoran. Producer: Steve Junker. 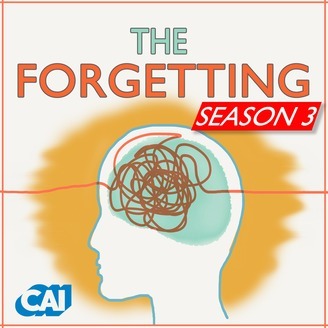 The Forgetting podcast: episode 8 Greg loses his friend. Greg gets upset with people who do the “drive by.” An encounter of the 3rd kind. Greg tells a joke about Alzheimer’s, reminding us to keep our senses of humor. A discussion of the disease before symptoms. Greg has advice for his friend as he faces dying. This episode was recorded April 13, 2017.